Your swimming pool is a superb investment for your family. With a little care and attention it will last a lifetime even if that means refurbishment at some point. It’s not difficult to keep your pool in optimal condition with regular cleaning and occasional topping up of chemicals. Light daily care with weekly check-ups is all an owner really needs to do. Why Would You Need Pool Professionals When You Can Do So Much Yourself? Professional attention keeps the working parts of a pool, such as the pump and heating, ticking over. Professionals have access to a range of tools and equipment that is not a requirement for the average owner. They also have years of experience to draw on when observing potential issues or quickly fixing small faults before they deteriorate into major repairs. 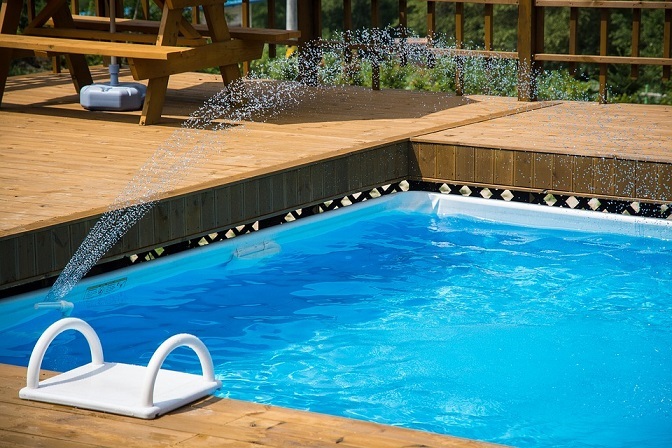 The bottom line is that having your pool checked over by experts on a regular basis adds years to its life and can save you money in the long-term. What Services Are Included In Swimming Pool Maintenance Packages? Most pool service companies like JB Elite Services offer a range of options to suit every owner’s needs and budget. Some owners appreciate the benefits of a “full treatment” service that takes care of everything. Other people prefer a regular maintenance service that checks all the main components and looks for any signs of wear, corrosion, or damage.  Testing and maintaining dehumidification devices as well as other HVAC equipment such as Calorex equipment.  Ensuring all equipment is working at maximum efficiency to minimise your running costs. You are guaranteed priority call-out in the event of an emergency or failure of any important pool equipment. Naturally, having an expert calling on you frequently also offers you the opportunity to consult on any questions or issues you may wish to discuss. Every home swimming pool benefits from a professional pool service at least every 12 months. We are happy to discuss your requirements and tailor an affordable care package to suit your needs. Contact us today for a free consultation.